as a newbie in melbourne a couple of years ago everyone was recommending st ali to me as a “must”, so its fair to say i’ve been an occasional visitor over the past 3 years. i’ve attempted to go more often than i’ve actually gone, thanks to the weekend line-up. and i’ve been a hopeful appreciator more than i’ve actually appreciated. sure, the coffee is great – there’s no denying that. great quality and flavour. but be prepared to wait. wait for your coffee order to be asked for, and then wait again for it to be banged down in front of you without so much as a smile. unfortunately, my least favourite thing about st ali is the service. and i hate saying that. my husband tells me all the time that i am too nice and i predominantly avoid saying anything negative. whether with a group of friends, my husband or alone, each time i’ve eaten at st ali i have found the service wanting. 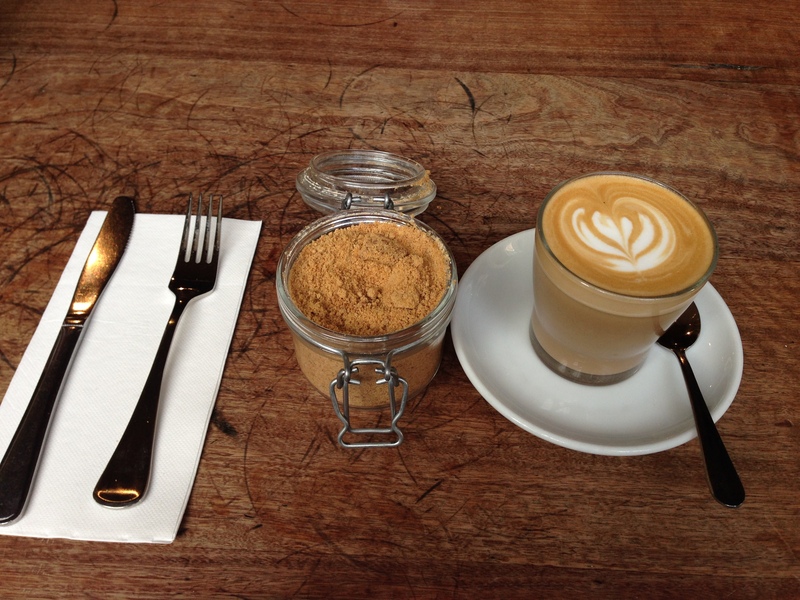 an air of pretentiousness with a side order of “i-don’t-give-a…”. and i’m pretty sure i’ve never gotten a genuine ‘hello’ or smile, not even once. anyway, moving on to the food… which thankfully IS good. the menu at st ali changes regularly which i like and always has a combination of traditional and contemporary ingredients. more recently some really tasty superfood dishes have tempted my tastebuds. 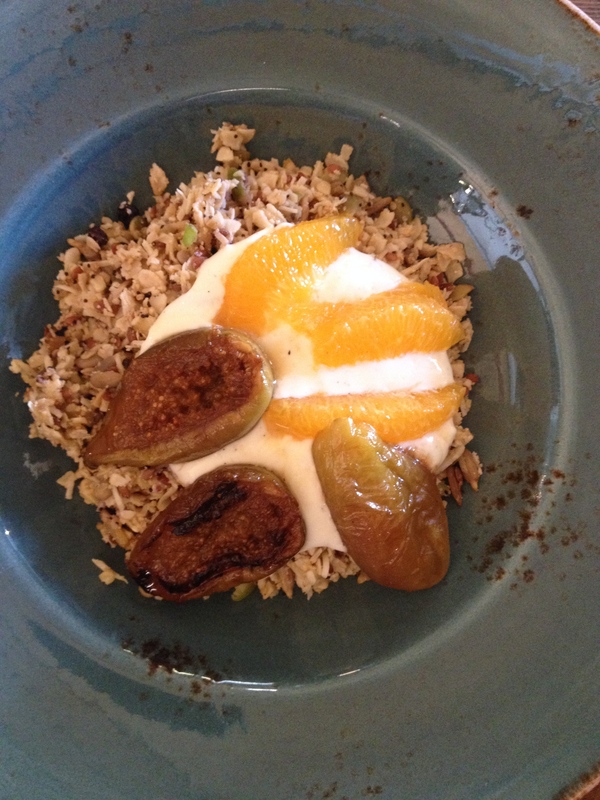 granola and chia served with yoghurt, grilled figs + citrus. this dish is delish. the grilled figs were perfectly sweet and offset the citrus excellently. the granola and chia is softer than your traditional crunchy granola with plenty of nuts and seeds, and served with just the right amount of yoghurt. buttermilk pancakes with jam and cream. these were definitely a more dense than soft-and-fluffy pancake. vanilla bean cream and fruit were sweet. 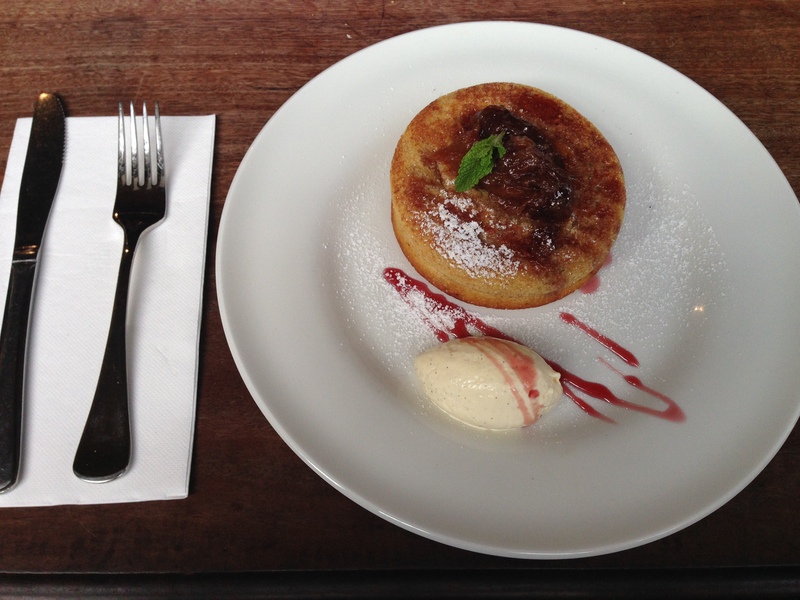 i did find this dish a little on the dry side, it could’ve done with some more jam. it wasn’t a bad dish by any means, just not amazing. in summary, i genuinely wish i loved this place more than i do… mostly out of a desire to be able to agree with every other melbourne-foodie. so i’m either missing something here, or have picked my days badly – because unfortunately my experiences to date have been less than stellar.